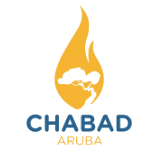 Are Services at Chabad for me? Of course! Our Services are set up in a style that everyone regardless of background or affiliation, be it reform, conservative, orthodox or unaffiliated, should feel welcome to participate and enjoy the High Holiday Services in an environment that is warm, friendly and non-judgmental. Chabad is a place where everybody fits in! Our services are inspirational, educational and easy to follow. Everything is explained in English and customized to fit your needs and give you the best experience possible. Our services are not too long and not too short. Just enough to do the whole thing and not get frustrated. Many of the prayers are explained and the rabbi sprinkles stories, jokes, anecdotes and lots of surprises to keep you interested. Our goal is for you come out of the experience inspired and excited to start a new year. Do I need to become a member to join the Services? No! There is no requirement to become a member to join our services neither do we charge for our seats. However, we do appreciate the contributions made by the generous people who participate in our services and programs. Our Services are completely Free and there is no need to pay membership. Our services are open to all regardless of affiliation or background. It's stress free and lots of fun. Do we have a special program for them! Their very own Synagogue and Program just for them. Do I need to bring a head covering, talit or prayer book? No! We will provide all our congregants with all the provisions necessary. If you would like to bring your own head covering or Talit you may feel free to do so.